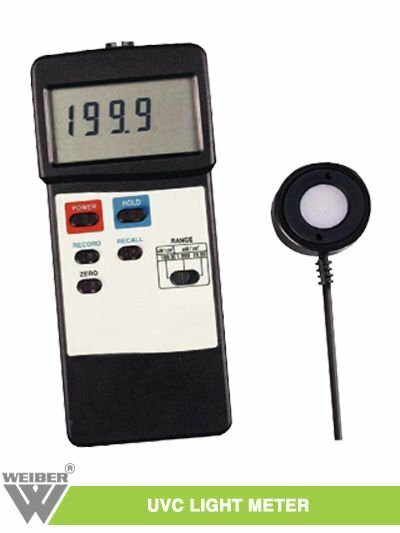 Acmas Technologies UVC light meters are used for wide array of industrial, photography, lab work, architectural, engineering and construction applications for measurement of UV exposure. The best quality raw material used in the manufacturing gives unmatched endurance. These products are highly appreciated for its accuracy and cost-effectiveness. Some features available for UVC light meters include battery power for greater portability. The durable ergonomic design promotes one-hand, one-touch operation so sample measurements are taken in seconds. Operating Humidity Less than 85% R. H.